Severus is a wizard. He is a member of the unsorted masses of Hogwarts students just off the train eagerly crowding around the Sorting Hat. Severus started at Hogwarts with Lily in 1971, where he was Sorted into Slytherin House. This put him in the same year as Lily but unfortunately for him in rival houses. Severus became the immediate enemy of James Potter and Sirius Black and was a frequent victim of their bullying. This led him to be irritable towards James's son Harry when he was a professor. Snape, when young, developed a passion for the Dark Arts, which increased as his desire for revenge grew stronger. Shortly before Lily Evans was murdered by Lord Voldemort, Snape changed sides and became a member of the Order of the Phoenix and double agent during the Second Wizarding War. With tremendous difficulty, Snape prevented Lord Voldemort from learning the truth about his loyalties, that his deep strong love for Lily Evans caused him to redeem himself, joining Dumbledore's cause for her protection (and, after her death, that of her son) from Lord Voldemort. The relationship between Dumbledore and Snape would be one of an unusually strong loyalty, so much so that Snape agreed to kill Dumbledore upon the latter's own request. Before Dumbledore's death, Snape promised to protect the students of Hogwarts from the Death Eaters, who would inevitably take control of the Ministry of Magic as well as the school. Snape later participated in the Battle of Hogwarts but was murdered by Lord Voldemort who mistakenly believed that Snape was the master of the Elder Wand. 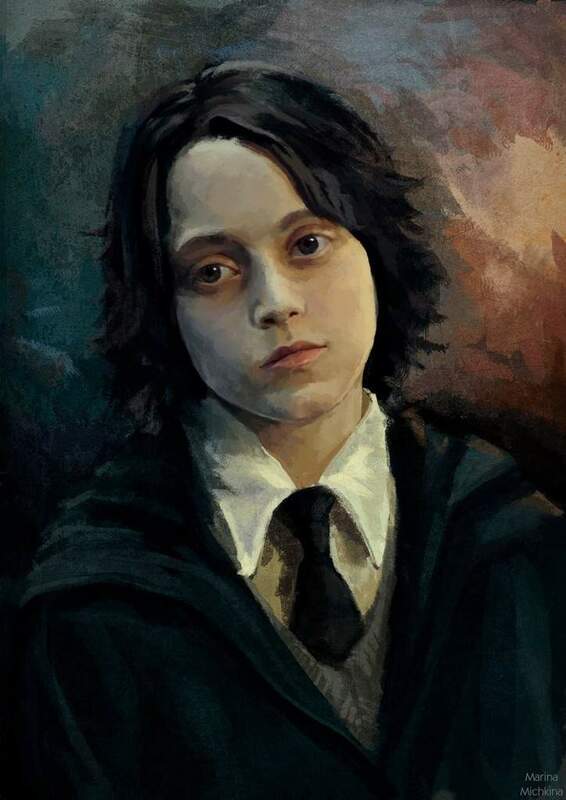 After Snape's death, Harry Potter ensured that his portrait remained at Hogwarts, honouring him as a hero, despite their significant personal differences. In addition, Harry later named his second son Albus Severus Potter in honour of Dumbledore and Severus, both an inspiration in Harry's life after the Battle of Hogwarts. Harry also was influenced by Severus' Hogwarts house, and freely admitted that Albus could choose Slytherin if he wished.